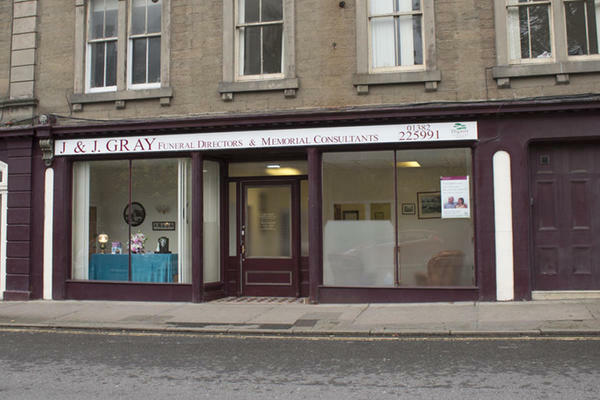 J & J Gray Funeral Directors in Dundee is the longest established funeral directors in the area. We have served the local community since 1856, building up a wealth of knowledge and expertise over the years. We continue to provide exceptional support to families in Dundee to this day. Our funeral home is located on Perth Road, and is easily accessible from the surrounding areas of Dundee, including the city centre, West End, Blackness and Logie. We are near the University of Dundee. We cater for all kinds of funeral, no matter how obscure it may seem. This is because we are dedicated to helping you arrange a funeral that truly reflects your loved one’s life, their interests and their personality. We endeavour to get every detail just the way you want it to be. Whenever you need our assistance, we will be here to offer advice, guidance and support. You can get in touch with us 24 hours a day by calling us on 01382 225991. At J & J Gray Funeral Directors, we understand how special life is with those that you love. For us, every funeral is unique and personal. We have a service to fulfil every wish, with every detail carried out with the same uncompromising quality of care. From a traditional service, to a colourful woodland burial, your options are limitless with our Full Service Funeral. If you have a little more flexibility when it comes to arrangements, then we can provide a Simple Funeral for a lower cost. There is paid parking nearby. It costs £2.60 for up to two hours. Our staff are available 24 hours a day on 01382 225991 if you require our services outside of these hours.